Der Artikel Dev Petty: I Don't Want to Be a Frog wurde in den Warenkorb gelegt. Ihr Warenkorb enthält nun 1 Artikel im Wert von EUR 7,98. 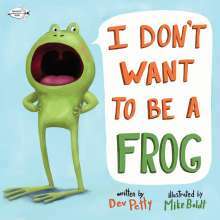 The hit book about a willful young frog with a serious identity crisis and his heard-it-all-before father is now available in paperback! Perfect for fans of Mo Willems's Don't Let the Pigeon Drive the Bus! and Jon Klassen's I Want My Hat Back! Frog wants to be anything but a slimy, wet frog. A cat, perhaps. Or a rabbit. An owl? But when a hungry wolf arrives-a wolf who HATES eating frogs-our hero decides that being himself isn't so bad after all. 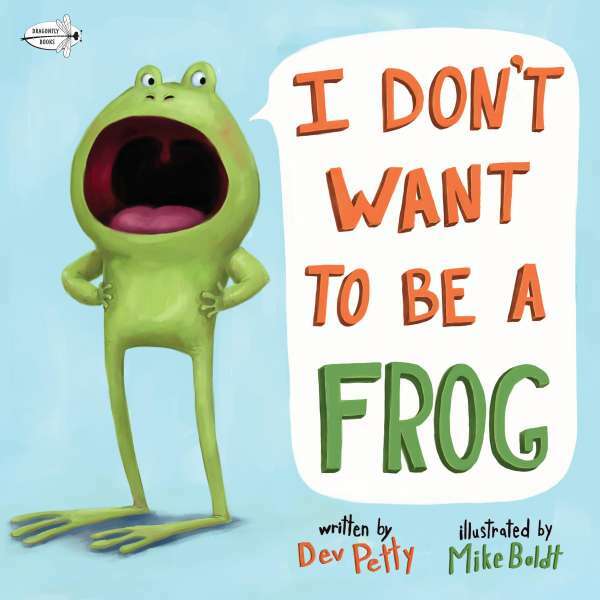 In this very silly story with a sly message, told in hilarious dialogue between a feisty young frog and his heard-it-all-before father, young readers will identify with little Frog's desire to be something different, while laughing along at his stubborn yet endearing schemes to prove himself right. And look for the hilarious sequels-I Don't Want to Be Big, There's Nothing to Do!, and I Don't Want to Go to Sleep.